Almost half of the British population wouldn’t take a claim to the small claims court because they don’t know what it does or what the process is, a Which? survey has revealed. The survey found widespread confusion over all aspects of using the small claims court, including how much can be claimed. Although the small claims court should be used as a last resort, it can be the answer if you’ve failed to find a solution by exhausting all other possibilities. Using the small claims court can be vital when it comes to getting your money back in many breach of contract claims – sometimes it can be the only way to do so. Breach of contract claims can include those against a builder failing to complete work to a quality standard, a holiday company failing to provide what you paid for or a retailer that fails to repair, replace or refund you for a faulty product. 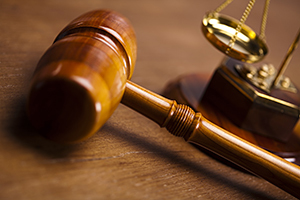 See our guide for more information on when to use the small claims court. The Which? survey also found confusion over the correct amount of money that can be claimed when brining a case at the small claims court. Only 7% of the 2,049 British adults surveyed knew that the correct limit in England and Wales is £10,000, while nearly two thirds said they didn’t know. In Scotland and Northern Ireland, the limit is £3,000. You should always use an Alternative Dispute Resolution (ADR) scheme, if there is one available to you, before resorting to court action. New rules from 1 April 2013 say that once you have issued your claim, you now have the opportunity to be referred to a mediation service before you proceed with a small claims court claim in England and Wales. This doesn’t mean mediation is mandatory, but a mediator is contacted to establish whether mediation would be suitable for your case. Anyone considering using the small claims court in England and Wales must follow the Practice Direction on Pre-Action Conduct. Using the small claims court should cost you relatively little, because you don’t have to pay for a solicitor. However, you’re required to pay the fees needed to take a claim through the small claims court in advance. For more information, including how long you must give the defendant a chance to file a defence, take a look at our guide on how to use the small claims court.